It is with heavy heart that I report that she has been transferred to Intensive Care as reported in this blog, for, among other things (I understand she has tuberculosis of the bone), a broken but untreated hip fracture. 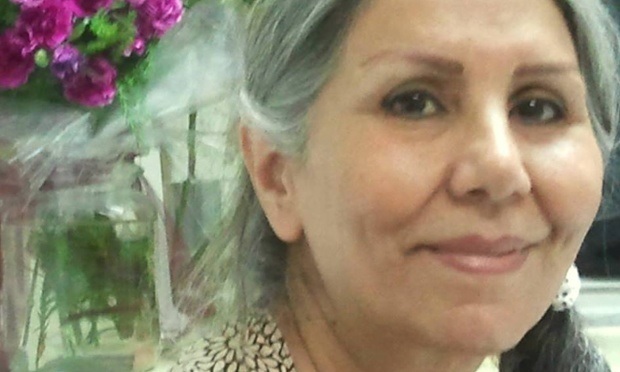 Please say a prayer for this long suffering and tormented woman and the well over 150 other Bahá’í prisoners of conscience currently in Iranian jails solely because of their religious beliefs. Please. Grateful you told us about Mahvash, John. Oh, such courage to inspire us! Thank you, John, for sharing this. She will continue to be in my thoughts and prayers. Thanks for sharing this John. I have reblogged and shared in a few places. Thank you…we cannot but try to get the word out about the appalling conditions of the Baha’is in Iran. I am really looking forward to the Paint the Change campaign. Oh you must tell me more about that is. Thanks John. My heart goes out. Please think of Mavash today in your prayers and meditations. T, thank you. Edmund Burke said it perfectly: The only thing necessary for the triumph of evil is for good men to do nothing. Yes, it is painful. Their sacrifice is so great and our ability to relieve their suffering so slight in the face of such cruel oppression.